Can anybody please tell me if Maestro/switch cash cards work in the ATM machines there and does it display all the information on screen in english as it would in the UK?? Anybody also know if there are any cash machines in Cavtat that accept maestro cards?? Hope somebody here can help! Have a nice trip, and let us know how was it. I loved it. 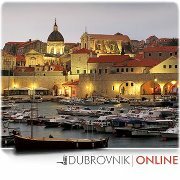 It's a very late reply I have but I found out that this site which and needed for my vacation in dubrovnik and it is english language use here and it will be very helpful for me. I will be visiting the place early next month and looking for more information needed. Thanks, it really helps a lot. Maestro cards, and all other major credit cards are generally accepted in all ATM machines in Dubrovnik and Croatia.